Wages increased in every province, biggest growth in N.L. 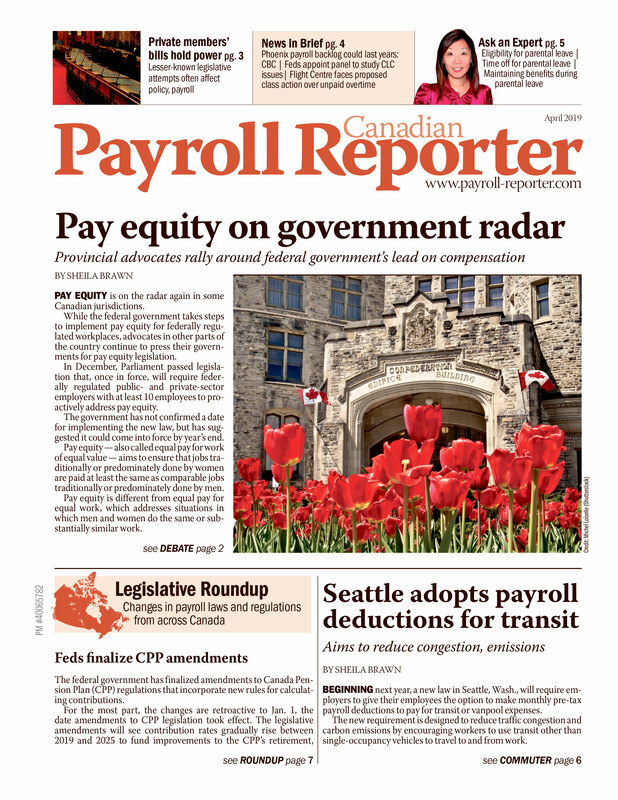 In April, average weekly earnings of non-farm payroll employees were $896.63, up 3.1 per cent on a year-over-year basis, according to Statistics Canada. The 3.1per cent increase in earnings in the last year reflects a number of factors, including wage growth and changes in the composition of employment by industry, occupation and level of job experience, according to Statistics Canada. Average hours worked per week also contributed to the increase in earnings. In April, non-farm payroll employees worked an average of 33 hours per week, up from 32.9 in March. Compared to one year earlier, hours worked also increased from 32.9 hours. This increase follows five consecutive months of year-over-year declines. Year-over-year growth in average weekly earnings outpaced the national average of 3.1 per cent in three of Canada's largest industrial sectors: wholesale trade, construction and retail trade. In contrast, earnings growth in health care and social assistance declined., said Statistics Canada. Average weekly earnings in wholesale trade increased 8.5 per cent to $1,096.42. Growth occurred in most industries in this sector, most notably among wholesaler-distributors of personal and household goods and in machinery, equipment and supplies. In construction, weekly earnings increased 6.9 per cent to $1,141.62 in the 12 months to April. Growth was widespread across all industries in this sector, and particularly strong among employees in building construction. In retail trade, one of the lowest-paid sectors on average, weekly earnings rose 4.4 per cent to $531.00. There were notable gains among retail stores for clothing and clothing accessories; electronics and appliances; and general merchandise. Weekly earnings of payroll employees in health care and social assistance fell 1.2 per cent to $815.93. Earnings declined in nursing and residential care facilities; ambulatory services and social assistance, said Statistics Canada. Average weekly earnings increased in every province in the 12 months to April, with the highest growth in Newfoundland and Labrador. In Newfoundland and Labrador, average weekly earnings increased 6.5 per cent to $931.77, the second highest wage level among the provinces after Alberta. Year-over-year earnings growth in Newfoundland and Labrador has been above the national average since December 2010. In Saskatchewan, average weekly earnings were $912.78 in April, up four per cent from 12 months earlier. Earnings in the province have exceeded the national average since August 2011. In Alberta, average weekly earnings in the 12 months to April grew 3.5 per cent to $1,066.83, the highest level in the country. In Quebec, earnings rose 3.3 per cent to $818.43. The lowest year-over-year growth was in Manitoba and Ontario, where earnings increased by 2.1 per cent in each province. In April, average weekly earnings in Manitoba amounted to $825.95, and in Ontario, $910.23.